London City Airport Hotels and B&Bs - Book now! Make sure to browse from a great range of both affordable, and professional hotels near London City Airport, and pick the one that’s best suited to your needs. Just across the Connought Bridge, Premier Inn is a great place to relax before or after your flight in the capital city of London! Just a few minutes from London City Airport, Hampton By Hilton provide a great range of rooms at very competative prices. 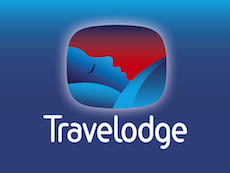 Whether you are relaxing after a long trip, or need somewhere to stay in between connecting flights, Travelodge is for you! A short distance from the Airport, Travelodge London is a great chance to rest in a professional quality hotel straight after your flight. Relax and put your feet up after a long flight and relax in the high quality rooms & facilities of Holiday Inn Express London. Put your feet up after a long flight and relax in the high quality rooms & facilities of Holiday Inn Express London. Premier Inn London Docklands is the ideal place to rest after a long flight into the capital city. Just a stone’s throw away from the airport, you can be relaxing in no time after your trip. Onsite parking between 9.30am – 5.30pm at £12 per day. No charge outside these hours. Minimum payment is £5 for 2 hours. The room comes with a luxuary kingsize bed, free wifi, freeview television with 80 channels and much more to suit your holiday needs! Both a full Premier Inn breakfast as well as continental choices are served fresh everyday at this hotel. You can have breakfast thrown in with the price of the room or pay as you go, if you prefer. One of the closest hotels to London City Airport. Choose from a great range of rooms available to relax in after a long flight. The room has all the basics needed to make your trip a stress-free and enjoyable one! Items such as; HDTV, free wifi and alarm clock are just some of the many items you will find in your Queen Room at the Hampton by Hilton London Docklands. The hotel has a resturant which serves breakfast from 6:30am – 10:30am, as well as lunch and dinner options. There is also a snack zone at the hotel lobby which offers a wide range of meals to eat on the go. Only a few minutes away over the Connaught Bridge, Travelodge London Excel boasts a huge range of rooms with differences to suit all needs & is a great place to relax after your trip to London. Limited chargable parking available on site from just £1 an hour, up to £8/£15 (depending on whether you’re a resident or not) for a 24 hour space. Explore the spacious desk area in your room, as well as the king size bed free wifi access. A bar/cafe facility is open at the hotel. Breakfast is served during the week between 6am and 10am, whereas over the weekend you can eat between 7am and 11am. What could be better than a waterside hotel? Just minutes away from the arrivals terminal, Holiday Inn Express London has something for everyone when it comes to facilities after your trip. Not only does your room come with the usual basics such as flatscreen television, blackout shades and desk, but you can also control your own comfort in-room heating and AC. Holiday Inn Express has a restaurant and bar which serves breakfast and enjoyable evening meals. The facilities are open for breakfast during the week from 7am-10am and at the weekends between 8am-11am (times are subject to change per location).